Each year Miami hosts a Celebrating Global Sisterhood event honoring women of color for their accomplishments. The award recognizes spirited women of color, particularly those who have been warm and welcoming to others. The award is named after Jennie Elder Suel, who received recognition in 1994. Suel volunteered in the Miami and Oxford communities by providing housing, meals and entertainment for Miami students. 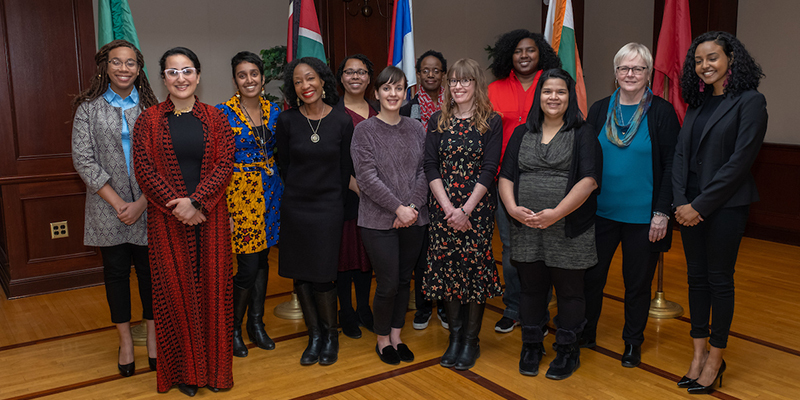 Etter-Lewis was honored Wednesday, March 6, during the Celebrating Global Sisterhood reception hosted by the women's center in the Shriver Center’s Heritage Room. As the leader of Project REACH (Reaching Every Aspiration for College with Hope), now called the Dream Keepers, Etter-Lewis works toward enhancing college readiness among Cincinnati-area high school students from underserved populations. She created the program in 2007 and pairs Miami students with high school students in a mentoring capacity, where each can learn from each other. The program evolved out of Etter-Lewis’ black feminist theory class, where students explored ways in which African-American women have historically given back to the community. The project expanded from including just female high school students to adding males and has a grant from Miami’s Interdisciplinary and Innovation Fund to involve Miami faculty in on-site school activities. The project has been transformative for all involved and is a “wonderful reflection of Etter-Lewis’ impact on students from underserved populations,” said nominators. Etter-Lewis received her doctorate in linguistics from the University of Michigan, master of arts in literature from the University of Dayton and bachelor of arts in literature from Jackson State University. 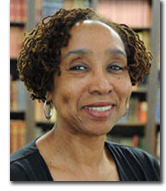 Her research interests include African-American women in the 1920s, contemporary African women’s studies and leadership and education in African cultures. This is the 27th year for the awards celebration. Launched in 1992 as the Women of Color Celebration and renamed Celebrating Global Sisterhood in 2013, this event brings people together to celebrate the cultural diversity and accomplishments of women of color at Miami and around the world. Pictured above are: Aleah Holley (student speaker), Sara Al-Zubi (student speaker), Darsheel Kaur (keynoter), Naaborle Sackeyfio (committee member), Lauren Brassfield (committee member), Kerry Strader (committee member), Jacky Johnson (committee member), Stefanie Hilles (committee member), Jenay Boyd (committee member), Alicia Shrestha (committee member), Jane Goettsch (committee member), Azieb Zeray (student speaker).